3 July 2009 - Fresh picked cucumbers. 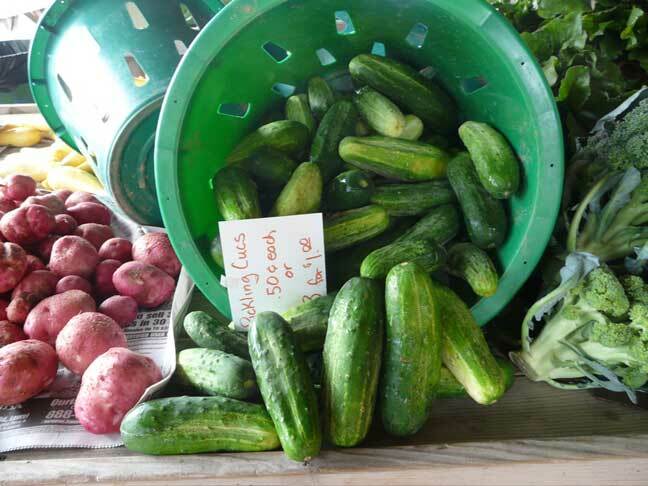 If you like to make your own pickles, NOW is the time to come and get them! Check our website recipes.